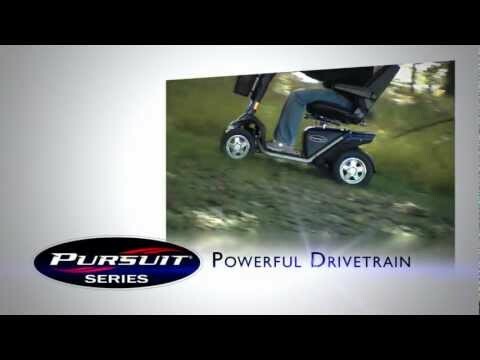 Pride Mobility Victory 10 scooter delivers high performance operation and an economical price. Low profile solid tires and 10 inch wheels ensure exceptional handling and a comfortable ride. Full complement of advanced standard features back-lit battery gauge, wraparound delta tiller, and 3AH off board charger.